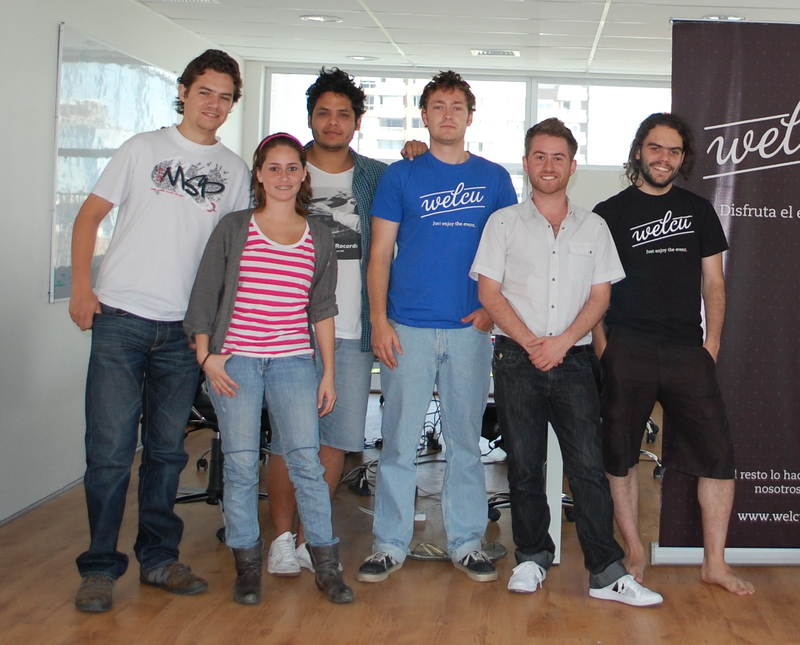 We previously reported that 500 Startups was to invest in Chilean company Welcu. This was confirmed yesterday, when the final list of startups was revealed for its summer accelerator program. Almost a third of the startups have non-US founders, including Welcu and Mexican company Ovia. So what are Ovia and Welcu all about, and what does this opportunity mean for them? Welcu was founded in December 2010 in the Chilean capital Santiago by Nico Orellana, who is now CEO of the company, and Sebastian Gamboa, now its CTO. They plan to launch their product within the next three weeks. It will be an event management platform for corporate-event planners. Welcu wants to differentiate itself from companies such as EventBrite by focusing more on the corporate angle rather than the consumer, given that the existing solutions don’t provide the level customization big companies expect. And this will push far beyond mere ticket sales. Nico considers Welcu’s main competitors as Cvent, Starcite and Active Network. But its product will focus on making life easier for event planners and work on consolidating the tools they already use, such as social networks. The company’s knowledge of event planners’ needs comes from Nico’s experience with Webprendedor, an event he launched in Chile in 2006. Targeted at entrepreneurs from the digital realm, it became very important for the local tech scene and inspired new startups. In the meantime, Nico also founded a digital advertising company but left it to his co-founders in September 2010 because he missed building products. However, he still remains involved with Webprendedor, and the 2011 edition will take place from October 10th to 15th. This not-for-profit event is also a great platform to showcase Welcu. Beyond this, Nico also sees it as a catalyst for Latin American entrepreneurs and a bridge between Latin America and Silicon Valley. 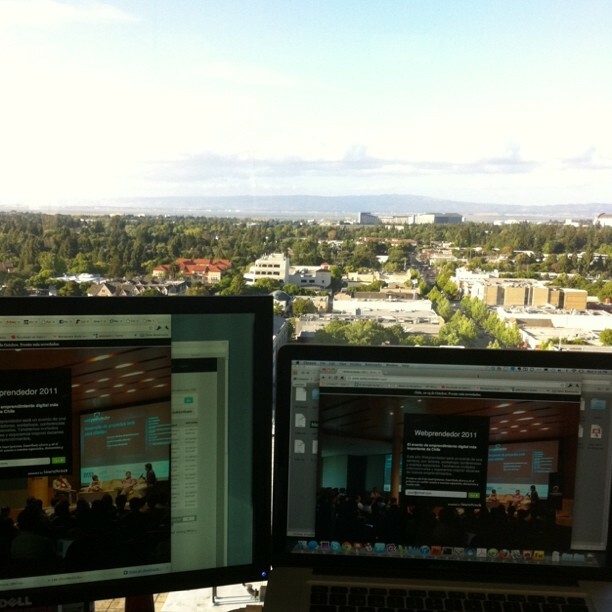 Silicon Valley has been a key factor in Welcu’s life since the company’s launch. Among its first investors were Groupon’s Latin American executives Oskar Hjertonsson and Daniel Undurraga, who were quickly followed by Eric Schmidt‘s investment firm TomorrowVentures. The former Google CEO’s VC fund then introduced Welcu to Dave McClure, who decided to join what Nico calls an “advisory round”. It’s still more geared towards mentoring than capital (500 Startups’ initial investment is $50,000), and it has been crucial to the company’s development so far. From the beginning, Nico and Sebastian wondered where to run their company from, eventually opting to operate “from the US to the world”. They moved to Mountain View in February this year while the company was still fundraising. However, they won’t abandon the Latin American market: they already have 50 clients in Chile and are eyeing Brazil and Mexico too. Most of their team – about 10 in total, currently led by MD Carito Orellana (and Nico’s sister), are still based in Chile, at least for now. A lot will happen for Welcu this summer; its first priority will be to get its product out. Then, with the help of 500 Startups’ mentors, it will have to get ready for “Demo Day”, which is its presentation to investors in mid-August. For that, it will have to find distribution channels, acquire clients and learn how to retain them. If the team succeeds, it will then need to raise funds to take Welcu to the next level. Technically, Ovia is a Latin American startup: two of its co-founders are Mexican and one is Argentinean. However, it doesn’t take much digging to find out how international it is – the CEO, Rodrigo Martinez, studied Computer Science in the UK, worked in IT in India and also had a stint at Monster in the Czech Republic. He met two of Ovia’s co-founders in India, and the fourth co-founder, a Nigerian-American, in London, and he just moved to the US to participate in the 500 Startups program. Still, its development center is based in Guadalajara, Mexico. His experience at Monster is a valuable asset to the company. Ovia is an online interview platform, designed to improve recruitment both for candidates and for recruiters. Whilst at Monster, he had noticed that online recruitment hadn’t evolved much since the early days of the Internet, and thought that a better use could be made of new technologies. It inspired an HR venture, FatStudent, aimed at students looking for a part-time job. It hasn’t been very successful financially but its product got noticed by clients, who particularly showed interest in its video features. This inspired Rodrigo to make the video interview its main product and to create Ovia. Founded in November 2010, it already counts big names such as Turner, Manpower and AT&T Interactive among its end clients. The interviews are asynchronous, meaning that no scheduling is necessary. Since they are not in real-time, candidates can answer the questions when it best suits them, and many choose to record their videos at night and during weekends, making the whole process much more flexible. The downside is that they can’t ask questions at this stage, but Rodrigo thinks that Ovia’s product can’t replace a face-to-face interview. He sees it as a filtering tool, and noticed that recruiters tend to limit themselves to 5 generic questions. Their main objective is to evaluate the candidates’ social skills before setting up an interview. When they do schedule an interview, there is a better chance for the candidate to match their needs than without this pre-interview process. They can also pitch their company to the potential candidates thanks to promotional videos, and according to Rodrigo, candidates’ feedback has been very positive. As the story goes, Rodrigo knows how to pitch his company: realizing that not being based in Silicon Valley made fundraising harder, he decided to travel there more often. He met many 500 Startups’ mentors, who expressed interest in his company. He then “crashed” the investment firm’s Demo Day last summer, attending the event without an invitation to get a chance to meet Dave McClure. When he did, he showed him emails from 500 Startups’ mentors encouraging Dave to invest in Ovia, and Dave decided to follow their advice. Besides this investment, Rodrigo is now in discussion with seed funds to raise an advisory/seed financing round of funding and hopes to close it in the next couple of weeks. His next challenge will be to convince GeeksOnaPlane to stop in Mexico on its next trip to Latin America: the Mexican scene is becoming more interesting, and as Rodrigo says, they could even change their name to “GeeksOnaBus”! So what do you think of Latin American startups moving to Silicon Valley?